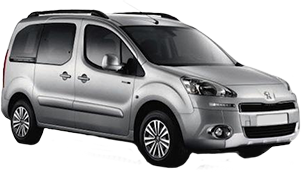 The Citroen Berlingo has been among the most popular taxi vehicles for the past couple decades due to its remarkably spacious passenger and cargo area, dependability and highly economical overall cost. This versatile 5-door small van is available in a 5 or 7-seat passenger configuration, with the ability to remove seating in favor of additional cargo room. The fuel efficient, easy to maintain Berlingo is available in petrol, diesel or an eco-friendly electric engine and will remain a fixture amongst taxi drivers for years to come due to its well-deserved reputation as a reliable workhorse. 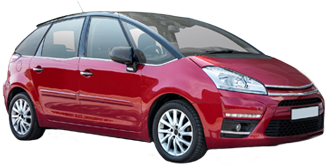 The Citroen Picasso has been increasing in popularity as a taxi vehicle over the past decade due to its exceptional value and reliable all-around capability. The Picasso comes the standard 5-seat hatchback mpv or stretched out 7-seat Grand Picasso model. Known as a pure “people mover”, the Picasso utilizes every bit of its sleek compact frame to pack the maximum amount of interior space into the car as possible. The affordable to own, reasonable to maintain Citroen Picasso delivers a nice balance of comfort, economy and room, making it smart well-rounded choice for any taxi driver. 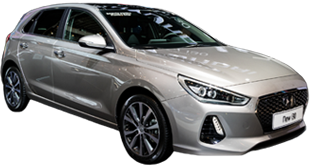 Combining outstanding value, contemporary style and all-around performance, the highly practical Hyundai I30 has emerged as a go-to choice for profit-minded taxi drivers. The contemporary designed 5-door 5-passenger mpv delivers sport-like style and performance in a compact yet spacious package. The I30’s compact frame and agile steering allow it to weave through city traffic and squeeze into tight spaces, while offering enough interior room for passenger comfort and cargo. The I30’s price tag, exceptional fuel efficiency and low cost of operation make this budget friendly Hyundai a perfect option for entry-level drivers or seasoned professionals alike. 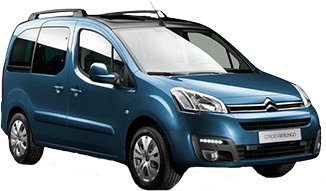 Sharing the same parent company, the Peugeot Partner is essentially an Italian produced version of the Citroen Berlingo in design as well as its widespread popularity as a taxi vehicle. The extremely versatile Peugeot small van comes in either a 5 or 7-passenger configuration and boasts an impressive amount of overall interior passenger and cargo room. The Partner’s versatility, exemplified not only by its reputation as a dedicated passenger mover and cargo hauler but its potential in wheel chair accessible passenger transportation as well. The Partner’s budget-friendly cost of ownership, voluminous interior space and creative passenger and cargo moving options will ensure it remains a popular taxi vehicle into the foreseeable future. The stylish Vauxhall Insignia delivers eye-catching looks along with comfort and value. The elegant exterior features aggressive aerodynamic lines that help the Insignia stand out when competing for potential customers. The highly efficient 4-door 5-passenger people mover provides an all-around blend of interior space and exterior style at a reasonable overall price. 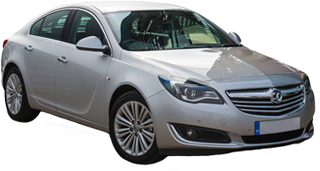 The Insignia is available in a low emissions eco-friendly petrol or turbo diesel engine aimed at keeping costs down, vital in staying competitive in the taxi business.